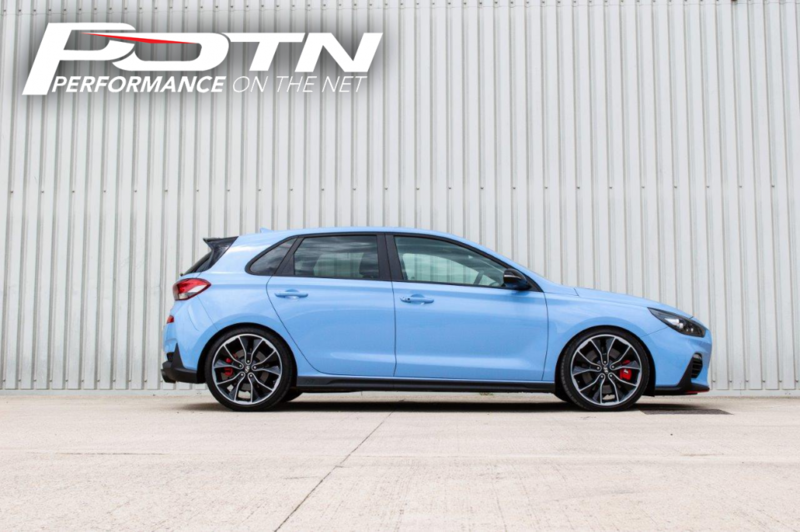 The much anticipated car of the year, our Hyundai i30N has landed at POTN headquaters! 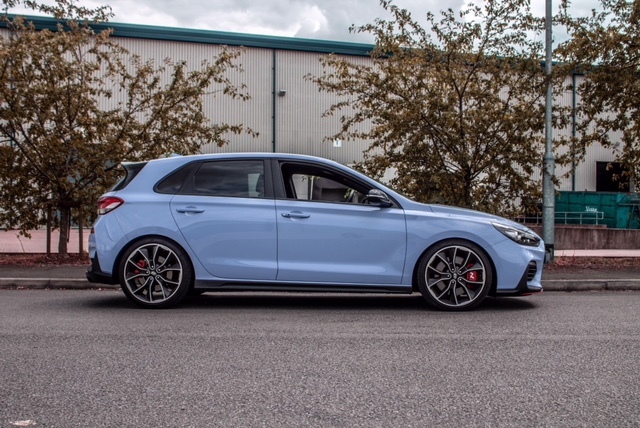 This car is causing CHAOS!…275PS 353NM of torque giving it some impressive stats out the box making it a controversial car, good stats with a Hyundai badge. Throw in all the other extras the car comes with and it puts it up there with some of the most luxurious manufacturers out there…8inch screen is big enough for most, Active lane assist and parking cameras to name a few…but then it goes that extra step, they obviously had petrol heads in mind especially if you have seen the advert they released for the car within the last year, because the car comes with a turbo, torque and power graphs actively moving up and down reading and reporting throuhout the drive. Exactly what you want when you pull up in the new car and you want to show it off to your mates. 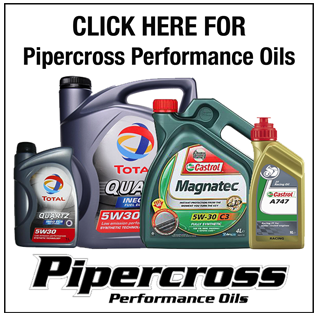 Obviously as a performance parts retailer we are interested in all of this…The G force meter really does it for me. However the 5 different modes make it suitable for every situation, want to take your good old Nan out? 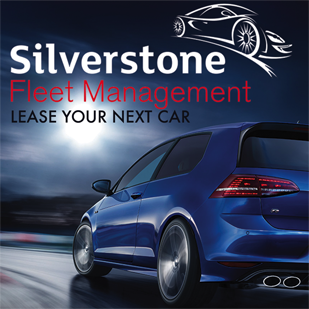 No issue, eco mode, softer suspension reduced power and torque and the exhaust valve closes up making the exhaust noise much quieter that you can still have a catch up with her whilst you listen to radio 2. The steering is made lighter, making those tight corners around town effortless. If eco is not for you then you still have normal and sport mode, both affecting the power and chassis outputs in different ways, but lets get back to the performance…N mode this is the mode you want, The mode that makes this car go crazy! The suspension is firmed up to the stiffest setting make a massive difference in the handling, the exhaust is opened up and the steering is set to normal giving you a much better feel of the road/track around you. I find myself on every journey resorting back to this mode, the exhaust as standard has a nice sound, louder than you expect and pops at high revs, which can be easily seen not just heard with the shift lights flashing in front of you. Ending with N custom, this setting allows you to have it exqactly how you want, light steering with sport suspension no issue, just fiddle through the settings and have it however you want. The bit some are struggling with is the Hyundai badge…I can see why, 10-15 years not even that they wernt in the game. 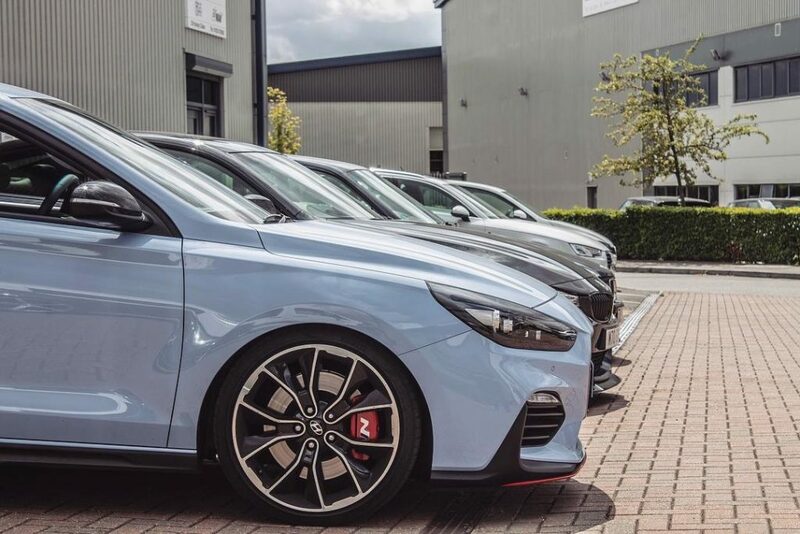 The cars they made back then had no styling and performance, however, whilst Honda, VW and other of the top manufactures have been battling it out, Hyundai have played the sneaky game and have released a weapon. It feels great, the set up of this car has been well built by Hyundai, with experience and knowledgeable support from the guy behind the M badge of BMW, The i30 interior is a nice place to be, we know the performance is spot on and it has a warranty of 5 years! 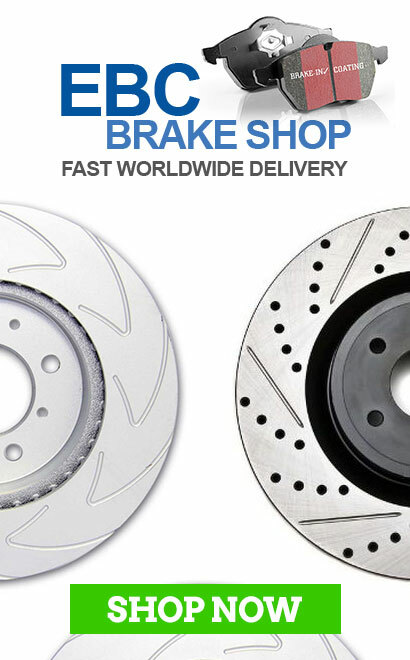 Not many manufactures can say that. The greatest thing about the warranty is the fact that you will remain within the warranty on the track. Now that is confidence in your product right? Of course we were never going to leave this car standard that’s not what we’re about. 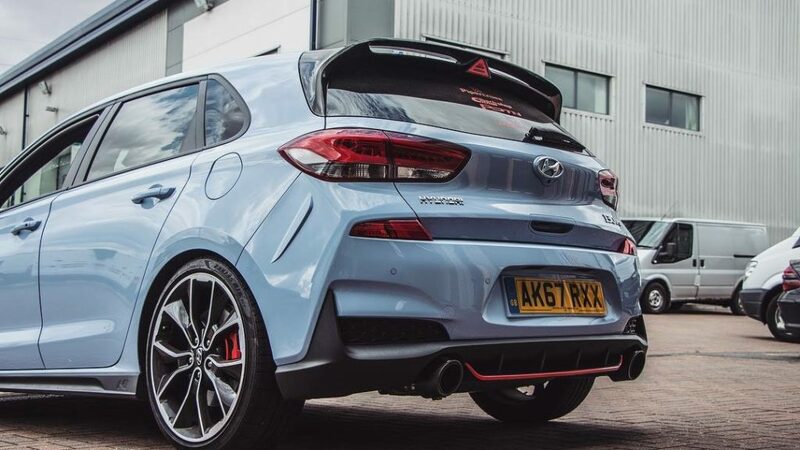 Within hours of receiving the Hyundai i30N we had it on the ramps and the exhaust off, we replaced it with none other then the Remus cat back system, we went for carbon tips which has always been our favourite but with chrome and black polished both available to us it was a difficult decision but we think we made the right choice, what do you think? Next we moved onto the suspension, Eibach have been talking about this car for a little while and already had the springs ready to go. 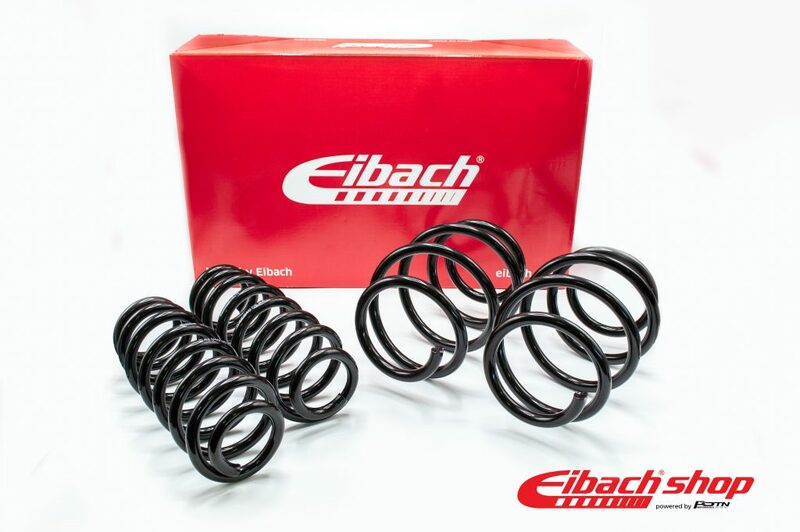 Eibachs Pro-Kit springs offered a 15mm drop which is perfect and a similar ride around town and everyday driving, however we got invited by Eibach to go round track with them at Bruntingthorpe to physically show us the difference between standard and a Hyundai i30N with springs on. It was quite comparable at high speed corners youwere much more stableas the back end doesn’t want to step out. The Pipercross filter was spot on. 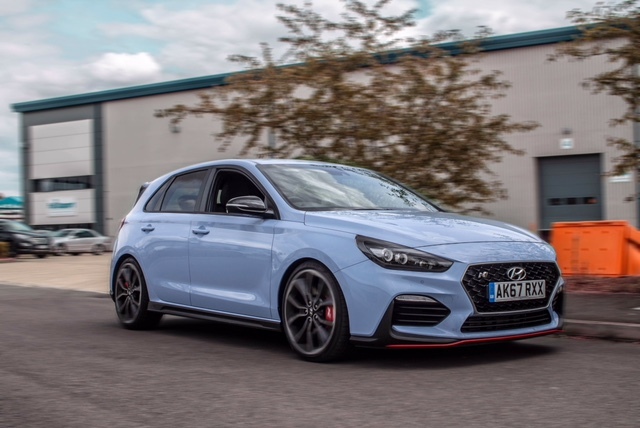 Within a day of having the Hyundai i30N Pipercross had come to visit us, measured up and taken the infomation they needed to start producing a replacement cone filter. We was so suprised when they coame back with the product to find it fit better then the original? How is that even possible? The original had alot of movement and because of the hard plastic it was unable to truly sit well. The Pipercross fitted much better, the throttle response improved and we got a little bit more of an agressive intake noise, which we loved. Since then we have enjoyed the car, our quickest 0-60 time is 5.7 seconds using the in built lap timer and all the staff have very much enjoyed finding out the features. The Remus powerizer is our next point of call. The simple plug and play use is ideal for anyone looking for power but if they ever want to remove it, they can just unplug it. The powerizer brings the figures on the car up an impressive amount. This takes it past Megane, Cupra, S3, Golf R, even the Fk2 Civic Type R. we must admit, it is still FWD but this is going to make a difference. Well I beleive we can truly say goodbye Gti which now will be sitting 70 horsepower behind. The Gti has got to have one of the biggest followings in the car scene at the moment right? So this must be turning heads or at least shake some people up when they see a Hyundai i30N come up behind them. It is s no longer an 80 year old doing the Asda run, it now means…get out the way! 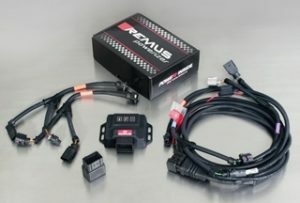 Remus Powerizer for the Hyundai i30 N performance click to be taken to our Ebay shop where this product is offered. 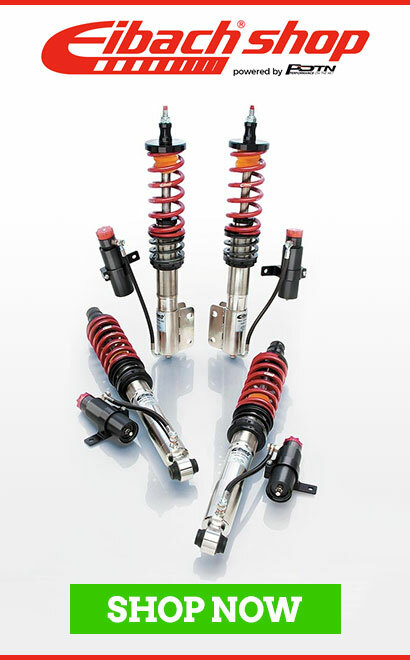 We will be following up with this power with spacers from Eibach to give us a better stance. 10mm all round should look perfect and then eventually wheels. We are struggling to decide what design to go for… let us know your thoughts on the car and the modifications we have completed so far We are extremely excited about this car and would love to hear your thoughts…..is it a YAY or NAY?